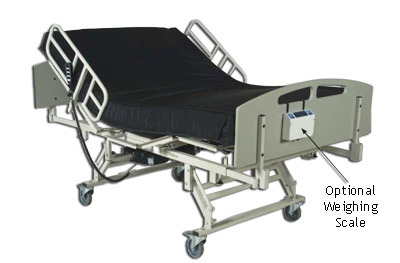 H&R Healthcare carries a full line of Bariatric Bed Frames, available in 42”, 48” and 54” widths. All of our frames are designed specifically for bariatric patients, and are available with or without scales. In addition, we carry a 42” Hi-Lo bed frame. Half side rails are standard. Optional split rails are available.